Apple cider vinegar has become the most sought after vinegar in the health community and for good reason. Apple cider vinegar comes from apple cider which is made from apple juice. At first, the apple juice is fermented and this creates apple cider. Apple cider is then fermented and being turned into vinegar by a certain bacterium. The bacterium has been credited with providing apple cider vinegar with its health benefits. Maintaining normal blood sugar is extremely important for overall health, as high blood sugar is often a precursor to various chronic diseases. According to a study published in the European Journal of Clinical Nutrition, vinegar can help to lower blood sugar levels after a meal. In regards to diabetic health, the vinegar can also help to increase insulin sensitivity. Thus it lowers the risk of developing high blood sugar and diabetes. A separate study showed that the ingestion of the vinegar led to an improvement in insulin sensitivity in those dealing with insulin resistance or Type II diabetes. 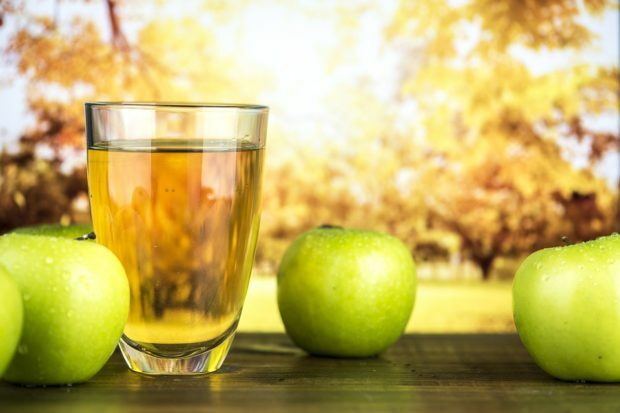 It’s not a quick fix, but apple cider vinegar does have its place in helping you manage your weight. One study showed that it may help to increase feelings of satiety, which can reduce the amount of food you consume, leading to weight loss. Research also showed how the daily consumption of vinegar led to a loss of belly fat (1). Nonetheless, it’s important to remember that the vinegar isn’t a quick fix. So if you’re looking to properly manage your weight – eat a balanced diet and avoid a sedentary lifestyle. Heart disease is the world’s most common cause of death. Additionally, the main element in this type of vinegar – acetic acid – has been credited with improving heart health. High levels of bad cholesterol increase the risk of a heart attack. One animal study done in rats showed how the vinegar not only reduced bad (LDL) cholesterol but it also increased the good cholesterol. High blood pressure increases the risk of stroke and heart disease. A separate Japanese animal study saw rats being supplemented with acetic acid. They later noted a reduction in blood pressure levels (2). Granted, more human studies are definitely needed in regards to the vinegar’ effect on heart health. However, in the meantime, you can help to lower both your cholesterol and blood pressure levels by avoiding these foods. Purchasing an apple cider vinegar toner could be the best thing you can do for your skin. One of the elements found in the vinegar has been credited with being able to combat acne. 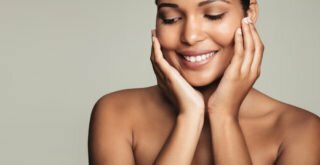 According to a study published in the Journal of Cosmetic Dermatology, lactic acid can help to treat acne scars by improving both the pigmentation and appearance of the skin. Aside from the body, you can also use apple cider vinegar to clean your fruits and vegetables. It’s been proven that apple cider vinegar can effectively remove any germs or toxins that may still be lingering on the fruits and vegetables. 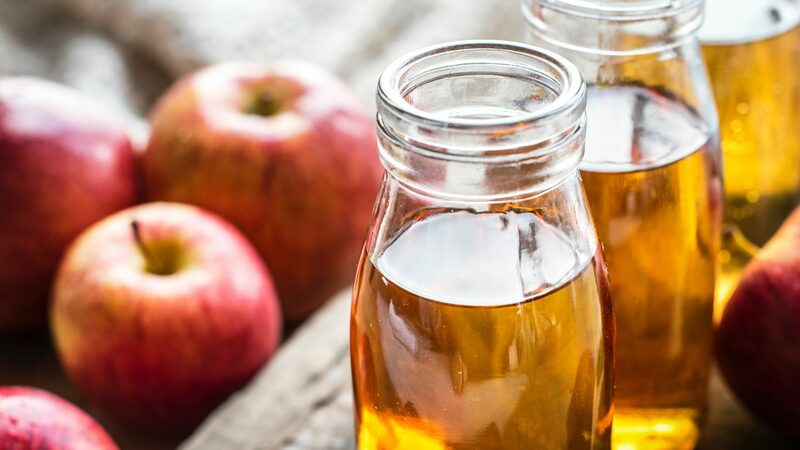 There are three types of apple cider vinegar that are considered the healthiest. The three types include organic, raw and unfiltered apple cider vinegar. 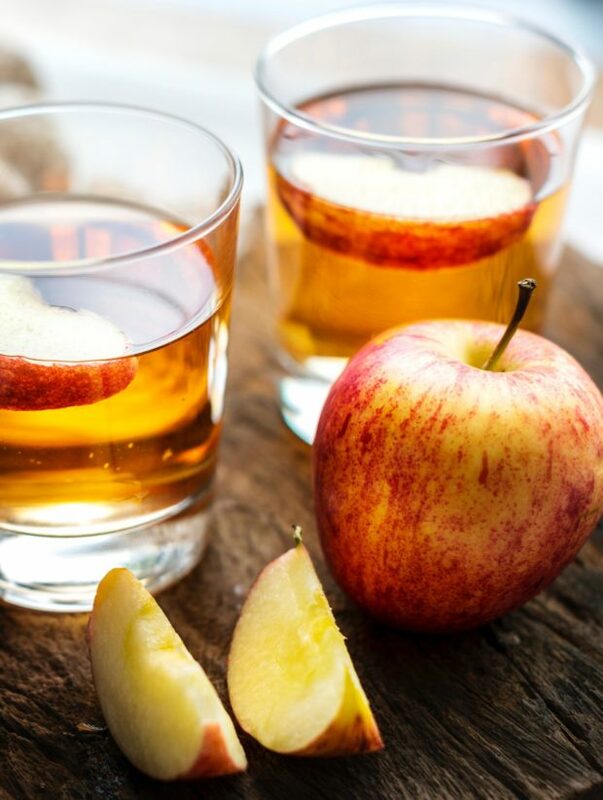 Although apple cider vinegar can provide plenty of health benefits, overconsumption can lead to issues such as tooth erosion or throat burn. You can incorporate apple cider vinegar into your diet by adding it to salad dressings or other homemade sauces. If you’d rather drink it, be sure to dilute it in water (use a dosage of 1 teaspoon to 2 tablespoons) and remember to never drink it straight. Although apple cider vinegar can be used in a wide number of ways, it should never be seen as a quick fix to your health problems. View it more as a supplement to be paired with a healthy diet and active lifestyle.